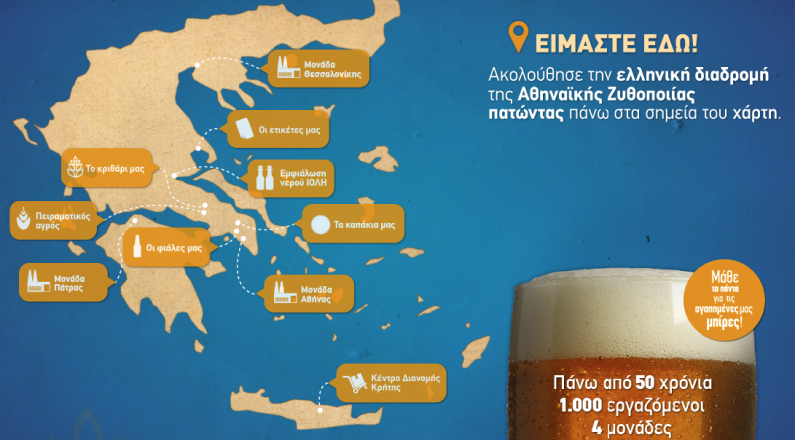 Athenian Brewery wanted to highlight the company’s partnerships and production centers in Greece, from units to labels, glass, lids and bottling companies. Crowdpolicy developed an interactive online platform for the Athenian Brewery, informing all stakeholders on the company’s business ecosystem and showcasing its strong devotion and impact on the Greek Economy. Eimasteedw.gr is based on G-Engine specially customized for the visualization of high impact products and organizations. G-Engine is a technology framework developed by Crowdpolicy, utilizing geolocation information and services.